La Ferme du Mont was founded quite recently by Stephane Vedeau. At first, they began operation in Courthezon, before shifting their headquarters to Valres in 2010. The change coincided with the purchase of Clos Petit Bellane from Olivier Peuchot. The initial vintages, 2005 and 2006 were produced in a partnership with Coralie Gourmarre of Domaine Galevan. From that point forward, Stephane Vedeau began producing the wines of La Ferme du Mont on his own. La Ferme du Mont is a negociant company that owns some vines in the region. They also rent vineyards and purchases grapes from growers in the Chateauneuf du Pape appellation as well. La Ferme du Mont produces, bottles and sells red and white wine from other Southern Rhone appellations including the Cotes du Rhone and Cotes du Rhone Villages, Gigondas and Vacqueyras. The vineyards used for the grapes placed into the wines since 2011 are being farmed using 100% Biodynamic farming techniques Prior to that, they were farmed using self sustaining farming practices, with the use of any pesticides or chemicals. In 2014, they earned the certification of Agriculture Biologique. La Ferme du Mont produces 2 red Chateauneuf du Pape wines and 1 white Chateauneuf du Pape wine. La Ferme du Mont Cotes Capelan is their flagship wine and the top wine in their portfolio. The wine is produced by blending 80% Grenache from old vines that range in age from 75 to 100 years of age, 10% Syrah and 10% Mourvedre. Vinification takes place in concrete tank. Malolactic fermentation takes place in vat. 90% of the wine is aged in traditional, concrete vats, while the remaining 10% is aged in French oak barrels for about 18 months before bottling. 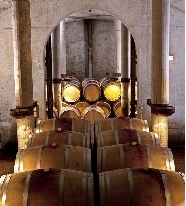 The French oak barrels are divided so that on average, 60% of those barrels are used and 40% are new, French oak barrels. La Ferme du Mont Vendanges d’Octobre is made from a blend of 80% old vine Grenache and 20% Mourvedre. The wine is aged in a combination of vessels with about 80% of the wine being aged in concrete vats and the remaining 20% of the wine being aged French oak barrels and foudres. La Ferme du Mont Chateauneuf du Pape Blanc Vendange is made from a blend of 70% Grenache Blanc, 20% Clairette and 10% Roussanne. The wine is aged in French oak barrels. Domaine Galevan La Ferme du Mont Cotes Capelan and La Ferme du Mont Chateauneuf du Pape are no longer being made. La Ferme du Mont can be enjoyed on the young side. Young vintages can be popped and poured, or decanted for about 1 hour, give or take. This allows the wine to soften and open its perfume. Older vintages might need very little decanting, just enough to remove the sediment. La Ferme du Monts is better with 3-4 years of bottle age. Of course that can vary slightly, depending on the vintage. In the best vintages the wine should be consumed within 4-15 years after the vintage. La Ferme du Mont is best served at 15.5 degrees Celsius, 60 degrees Fahrenheit. The cool, almost cellar temperature gives the wine more freshness and lift. 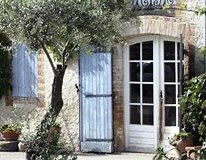 La Ferme du Mont is best served with all types of classic meat dishes, veal, pork, beef, lamb, duck, game, roast chicken, roasted, braised, stewed dishes, sausage, barbecue and cassoulet. La Ferme du Mont is also good with Asian dishes, hearty fish courses like tuna, mushrooms pasta, eggplant, tomatoes and cheese. The white wine of La Ferme du Mont is best served with a myriad of different seafood dishes, shellfish, crab, lobster, sushi, sashimi, chicken, pork and veal, as well as Asian cuisine. Luscious, ripe, peppery, red fruits, smoke, thyme and herbs are ready from the first sniff and sip. Medium bodied, fresh and fruity, this is good now, and should be even better with a few more years of bottle age. Nice style of wine that is already drinking well and can age a bit. Loads of sweet, fresh, juicy kirsch, raspberries, thyme, smoke, coffee and earthy aromatics, with fat, round textures, good concentration of flavor and a sweet, spicy, ripe, red berry finish. The wine was made from a blend of 90% Grenache and Mourvedre. WOW! My first time tasting a wine from this producer, and it's a stunner. Inky in color, with massive blast of black licorice, black raspberries, cherry liqueur, spice, earth, jam and fresh black pepper. This is no shy wallflower of a wine. It's powerful, concentrated, mouth coating and intense. The finish just keeps on going. There is so much fruit, you lose track of how long this wine really is. Medium bodied, soft, elegantly styled and focused on its bright red fruits, garrigue and earthy tones. This is ready to drink.